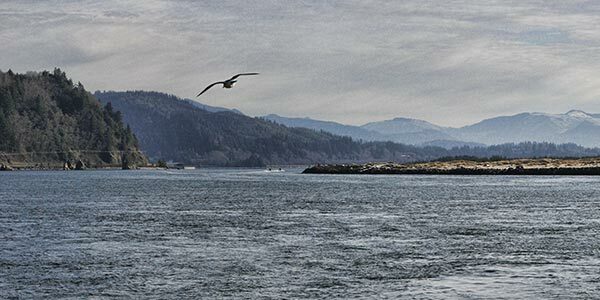 Taken from the breakwater at the entrance to Tillamook Bay. Panorama is stitched from 33 images – 11 distinct images bracketed at -3, 0 and +3EV using Hugin and KRPano. The original panorama is 15514×3174 pixels (49MP). This image is downsampled to 6260×1280 pixels.